Since I'm babbling about TV, why not give you a quick film review. I am one of the privileged few that, when on long family trips, was easily pacified by comic books. I mean, I could have shouted and screamed at every stop but my mother was pretty smart. She figured that as long as I was reading... I wasn't fighting over something with anyone. Heck, they didn't want to read them. 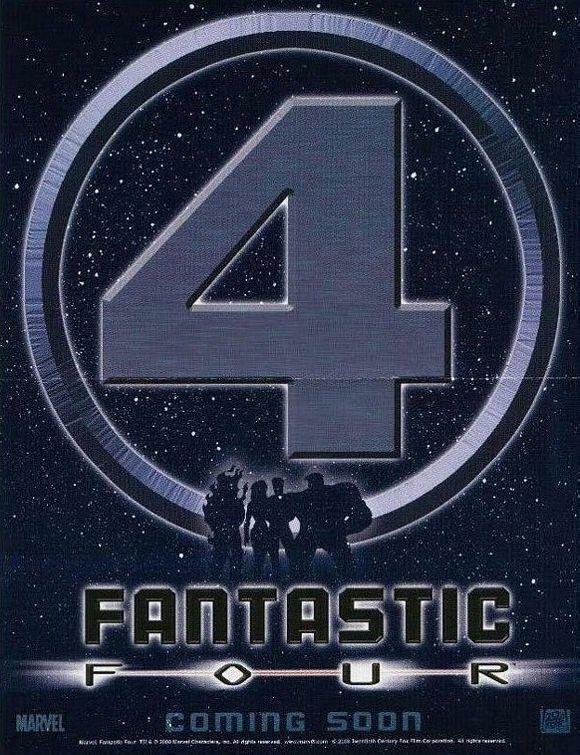 So I have a more than passing understanding of Marvel's Fantastic Four. Scientist Reed Richards, pilot Ben Grimm, Susan Storm and Johnny Storm are in space researching cosmic rays. When bombarded by what they are studying their DNA are affected. The hotheaded Johnny Storm becomes the fire controlling Human Torch. His shy sister Susan becomes the transparent Invisible Girl. The resilient and strong Ben Grimm becomes the rocky Thing. The flexibly studious Reed becomes the elastic Mr. Fantastic. A former college schoolmate of Reed's, Victor Von Doom (a transfer student from Latveria who is facially disfigured in an experiment at the school) returns with control issues... he wants to rule the world and has the power, wits and money to make it happen. But... this isn't the story we are given in the film. Susan and Johnny are with the mega-wealthy Victor Von Doom (Doom plan's to pop the question to Sue.) Sue's former flame Reed and his friend Ben ask Doom for the use of his space station for scientific research. 5 people go into space, 5 people get affected by cosmic rays. All except for Doom show signs of DNA change (Ben the most.) Doom's investors threaten to pull their funds... he kills them with his new found electrical power (which somehow can burn a hole through a human body... dunno about that.) Ben goes to a bar and meets a blind black Alicia Masters. Violence ensues. Bad guy gets beaten. Romance blossoms, commitments are made. Blah blah blah. I could see the need to change Reed and Sue's relationship. I mean, how much time would it take to develop a relationship instead of reignite one? Time saved for action scenes is good. How many people would understand what diplomatic immunity meant if they decided to spend time developing Doctor Doom the right way? If they went with his standard no powers but a specially designed metal suit... wouldn't that hurt the upcoming Iron Man film? And at least they mentioned Latveria a few times. Ben gets the opportunity to become normal and is for awhile but gives it up to assist his friends (when he bitched about being a social pariah and his wife rejected him when he came back changed.) Yes, this reminds me too much of Superman II. Overall, I give it a say it is a good film. Not great or excellent nor decent or bad. It is a fun film for the family and I was shocked to hear people clapping after it ended (then again maybe they had to go potty.) Well worth watching. Great review. My 14-year old came home earlier this evening after watching the movie. Her review? "It was OK, Dad." I learned so much more from your in-depth analysis. As a kid, I can remember going to the local five and dime (this was in the 60s, mind you) to wait for the newest edition of LSH to be delivered. While waiting, we got a piece of bubble gum for one cent each. That’s something you don’t see anymore. I too am a comic afficiando and still have some of the comics that I collected years ago. 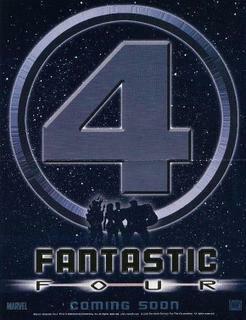 FF4 was one of my favorites and the film did not do it justice, but if you do not compare it to the comic, it was a fun, light, enjoyable movie. I haven't watched the movie yet. I looked away during the spoiler moments. I'm hoping to see it sometime next week. I don't know anything about the comic, but I've seen the ads for this flick and it looks pretty good! I'll have to check it out when it comes to video... Not much of a "going to the movies" person here. Hello my dear internet friends! I have some very exiting news. A lot of you know me pretty well now and have helped me a lot. I sincerely appreciate you and I want to do the same for you. Please take a moment to check out this excellent opportunity. I am so very proud to be a part of this business, I just don't have the space I need here to fully express my gratitude and I know you will feel the same way I do. You can even try it out at no charge. Take some time to explore and learn what could be one of the most significant aspects in your life. You will not be wasting your time and I will be honored for you to be my guest. You will love this... Please give me a chance to prove it to you. Click here: financial freedom It elegantly covers financial freedom related ideas and FREE information. Sincerely, Scott.